Objective : The primary objective of this study was to evaluate pediatric residents' ability to correctly identify electrocardiogram (ECG) findings and pair them to a corresponding cardiac diagnosis. Methods: Forty-six pediatric residents from the Johns Hopkins Children's Center were surveyed to evaluate their ability to interpret ECGs and factors affecting that ability. Included in the survey was a packet of 10 patient vignettes each accompanied by a 12-lead ECG. The primary outcome variable was the resident's score of correctly paired ECG findings with the appropriate cardiac diagnosis. One point was given for each pair correctly identified for a maximum of 10 points. Simple and multiple linear regression was used to estimate the magnitude and significance of any association between score of correct responses and resident year, completion of a pediatric cardiology rotation, self-rated ability to read ECGs, and training received in reading ECGs. Results : The mean number of correct ECG findings and cardiac diagnosis pairings out of 10 for the PGY 1 group was 4.1 ± 3, PGY 2 group 4.9 ± 2.9, PGY 3 group 6.6 ± 2, and the PGY 4 group 6.8 ± 1.7. In the unadjusted linear regression model, the PGY 3 group correctly identified 2.4 more pairings compared to the PGY 1 group (P =0.02). Those who completed a pediatric cardiology rotation correctly identified 2.5 more pairings compared to those who did not complete a rotation (P=0.001). Conclusions: ECG interpretation significantly improved from PGY 1 to PGY 3. Educational programs involving ECG interpretation should target those diagnoses with high clinical severity and average to poor resident knowledge. Objective : The bidirectional Glenn shunt is commonly performed under cardiopulmonary bypass for conditions that lead to a single ventricle repair. We report our experience of bidirectional Glenn shunt done without cardiopulmonary bypass. Methods : Between June 2007 and May 2009, 186 consecutive patients underwent off-pump bidirectional Glenn shunt for a variety of complex cyanotic congenital heart defects. Age ranged from four months to six years and the median weight was 11.17 kg (range 4.3 - 18). 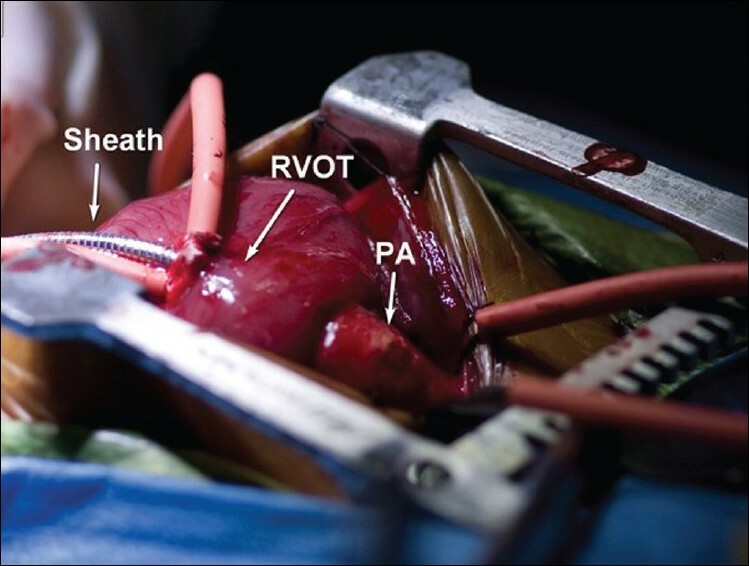 After systemic heparinization, the procedure was done by creating a temporary shunt between the innominate vein and the right atrium connected across a three way connector for de-airing. Fifty one patients had bilateral cavae. All cases underwent complete clinical neurological examination. Results : No case required conversion onto cardiopulmonary bypass. Four patients (2.14%) died in the immediate postoperative period. 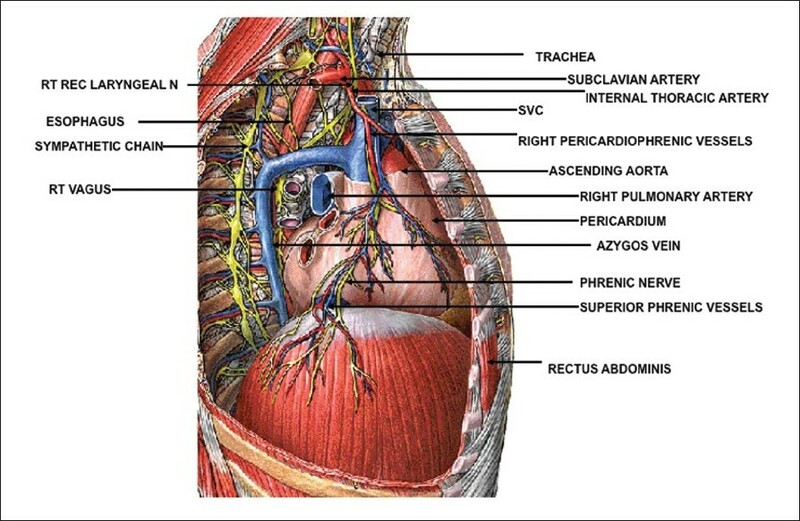 The mean internal jugular venous pressure on clamping the decompressed superior vena cava was 24.69 ± 1.81 mm Hg. There was no intra-operative hemodynamic instability and oxygen saturation was maintained at more than 70% throughout. Post Glenn shunt, the saturations improved to mid 80s. Seventy four cases had documented forward flow across the pulmonary valve. The mean duration of ventilation was 10.17 ± 8.96 hours and there were no neurological complications. 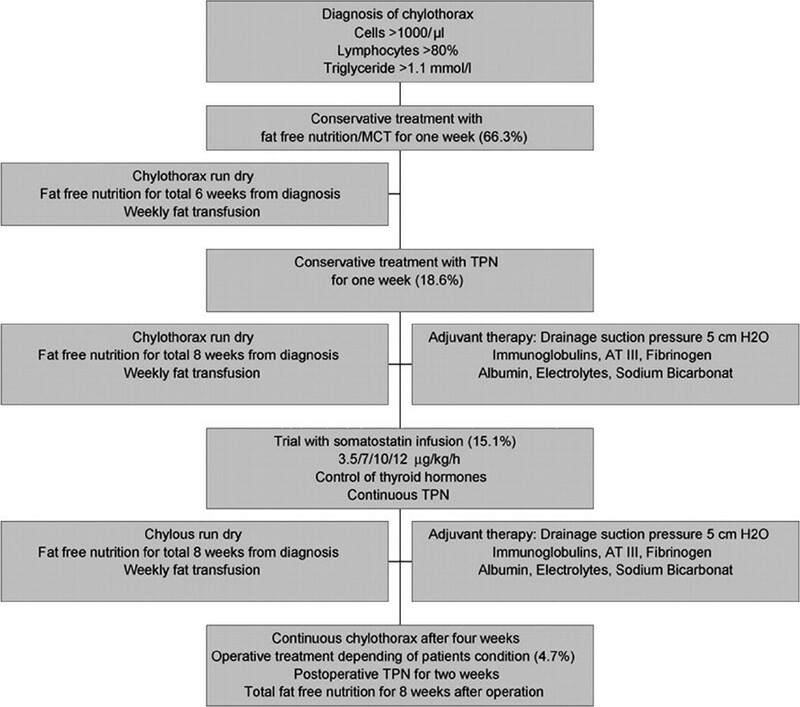 Six patients (3.22%) developed pleural effusions, 4 patients (2.15%) had nodal rhythm and 9 patients (4.83%) had superficial sternal wound infection. Conclusions : Our results show that off-pump bidirectional Glenn shunt can be done safely in patients not requiring associated intra-cardiac correction. It avoids cardiopulmonary bypass and its related complications, is economical and associated with excellent results. In our opinion, this is the largest series of off-pump bidirectional Glenn shunt in the literature. Controversy still exists in the categorization of holes between the ventricles, although they are the most common congenital cardiac malformation. Advanced imaging techniques such as three-dimensional echocardiography and computed tomographic angiography offer superb anatomical details of these defects. In this review, we have sought to collate the features highlighted in different categorizations and identify their similarities, but also emphasize their differences. We hope that an analysis of this type, now achievable during life, using advanced imaging, might lead to the appearance of a unified system for diagnosis and description of holes between the ventricles. Transhepatic cardiac catheterization and intervention is used in selected cases in our institution. A retrospective review of transcatheter interventions for the pulmonary artery was conducted. Forty-five transhepatic procedures were performed. Thirteen involved intervention, to rehabilitate the branch pulmonary arteries. The median weight of the patients was 9.9 Kg ± 3.4. The patients' age ranged from eight months to 86 months (median 23 months). The largest sheath used was 7F. All the patients underwent success intervention with no complication related either to the transhepatic approach or the intervention. 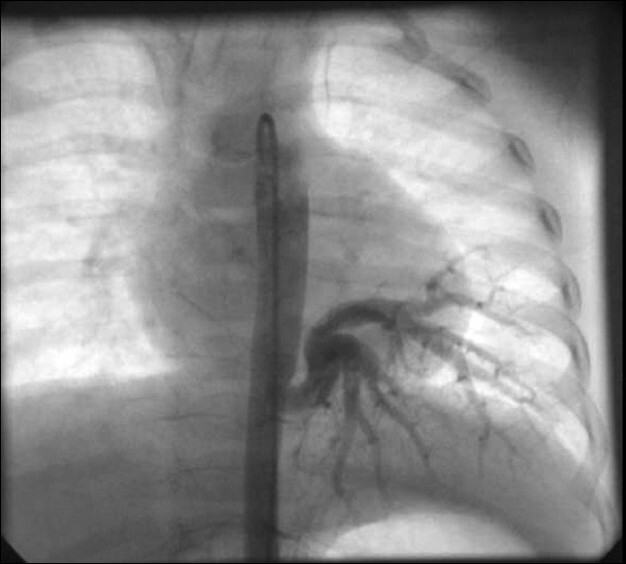 The branch pulmonary artery diameter increased from 4.5 ± 2.2 mm to 7 ± 3 mm. Most of the procedures were performed under conscious sedation / deep sedation protocol. Hemostasis was achieved in all patients by gradual sheath withdrawal, followed by application of upward pressure on the tract from the subcostal area. In the absence of patent femoral veins the transhepatic approach can be used to perform successful and safe interventions, to rehabilitate the pulmonary artery system. It may offer the additional advantage of using larger sheaths than would be felt appropriate for the femoral veins. Recent advances in the pediatric heart surgery, especially the Fontan procedure, has necessitated an increased use of oral anticoagulants in pediatric cardiac patients. Warfarin is the standard agent used for most pediatric indications, though there are very few randomized control studies in children regarding its use. This review summarizes the current indications and evidence base regarding the use of oral anticoagulants in the pediatric age group. Pediatric cardiac intensive care has evolved as a distinct discipline in well-established pediatric cardiac programs in developed nations. With increasing demand for pediatric heart surgery in emerging economies, a number of new programs are being established. The development of robust pediatric cardiac intensive care units (PCICU) is critical to the success of these programs. Because of substantial resource limitations existing models of PCICU care cannot be applied in their existing forms and structure. A number of challenges need to be addressed to deliver pediatric cardiac intensive care in the developing world. Limitations in infrastructure, human, and material resources call for a number of innovations and adaptations. Additionally, a variety of strategies are required to minimize costs of care to the individual patient. This review provides a framework for the establishment of a new PCICU program in face of resource limitations typically encountered in the developing world and emerging economies. Paralysis of diaphragm on one or, exceptionally, both sides is a common cause of delayed recovery and excessive morbidity following pediatric cardiac surgery. The consequences of this complication after all forms of congenital heart surgery in newborns and young infants can be potentially serious. The impact of diaphragmatic palsy on the physiology after single ventricle palliations is particularly significant. It is necessary for all professionals taking care of children with heart disease to be familiar with the etiology, diagnosis, and management of this condition. Early recognition and prompt management of diaphragmatic palsy can potentially reduce the duration of mechanical ventilation and intensive care in those who develop this complication. This review summarizes the anatomy of the phrenic nerves, reasons behind the occurrence of diaphragmatic palsy, and suggests practical guidelines for management. Persistent pleural effusions are a source of significant morbidity and mortality following surgery in congenital heart disease. In this review, we discuss the etiology, pathophysiology, and management of this common complication. A 7-month-old girl was diagnosed to have large aortopulmonary collateral during evaluation for congestive heart failure. There was no other evidence of cardiopulmonary disease. The collateral was successfully closed with multiple coils delivered sequentially. We describe the issues associated during closure of the aortopulmonary collateral in this case. To the best of our knowledge, this is the first reported case of large aortopulmonary collateral presenting with heart failure in an otherwise structurally normal heart that was closed successfully with multiple coils delivered sequentially. We report a case wherein a dysmorphic four-month-old infant (weighing 4.5 kgs) with an 8 mm atrial septal defect (ASD), a 1.5 mm patent ductus arteriosus (PDA), a 2 mm mid-muscular ventricular septal defect (VSD) associated with chronic lung disease, and severe pulmonary hypertension, was successfully managed using a hybrid approach, without the use of cardiopulmonary bypass (CPB). Through a median sternotomy, the PDA was ligated and the ASD was closed with a 9 mm Amplatzer septal occluder implanted through peratrial access. The VSD was left untouched. Serial echocardiograms showed complete closure of the ASD and PDA, with progressive normalization of the pulmonary artery (PA) pressures within three months. The child rapidly gained weight and was weaned from sildenafil and oxygen administration. After 12 months, the VSD closed spontaneously and the child remained well, with normal PA pressures. A hybrid approach without the use of CPB should be considered in the management of infants with congenital heart disease, associated with chronic lung disease and pulmonary hypertension. We report a case of a high-risk neonate with interrupted aortic arch (IAA) and ventricular septal defect who underwent a successful hybrid palliative procedure using a ductal stent and bilateral branch pulmonary artery banding. This case represents not only a successful use of hybrid approach in high-risk neonates with IAA, but also introduces an alternative and safe access for ductal stent insertion through the right ventricular infundibulum. Balloon atrial septostomy is a common palliative procedure in D-transposition of great arteries. It is technically easy before 2-3 weeks of age when the septum primum is thin. 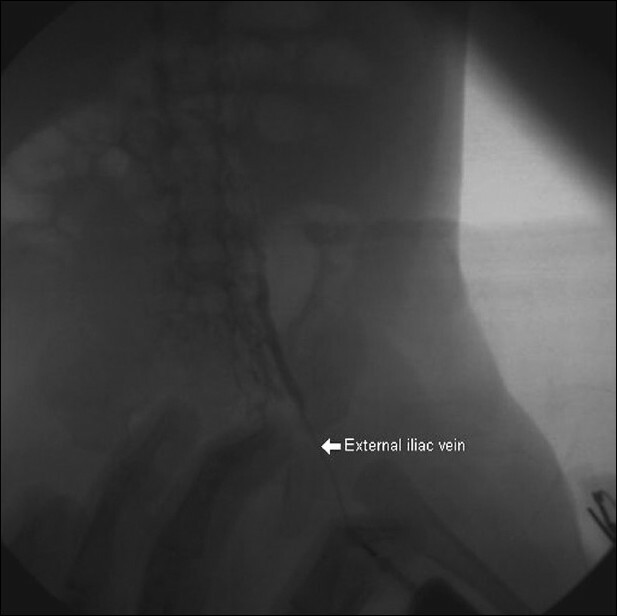 Femoral vein or umbilical vein, when available, is the common access used for this procedure. In situations when these accesses are not available or in case of inferior vena cava interruption, trans-hepatic access is used. Internal jugular vein (IJV) access is not used as it is difficult to enter the left atrium through this route. We describe a case of successful Balloon atrial septostomy done through IJV in a 45-day-old child with emphasis on the technique, hardware and precautions necessary during the procedure. 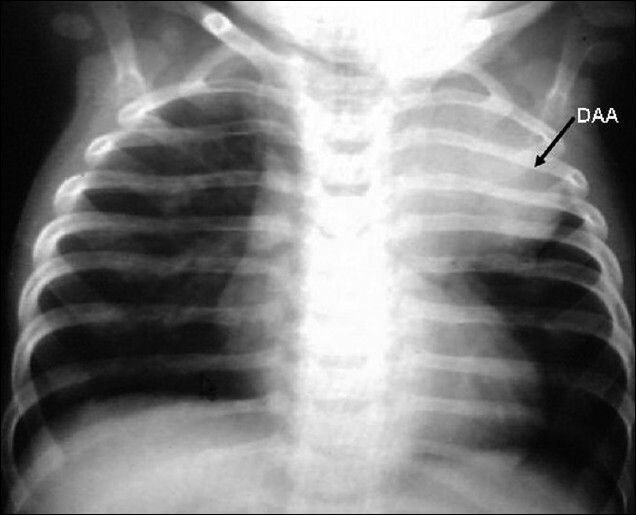 We report here, the case of a six-and-a-half-month-old boy investigated for persistent respiratory distress and homogeneous opacity in the left upper lobe. Echocardiography revealed a giant ductal aneurysm compressing the left pulmonary artery and upper lobe division of the left bronchus. Computerized tomography angiogram delineated the exact anatomy and prompt surgical resection provided a successful cure to this lesser known entity. Migration and embolization of the Amplatzer septal occluder (ASO) have been reported. However, there is only limited information on the methods of systematic retrieval of these devices. 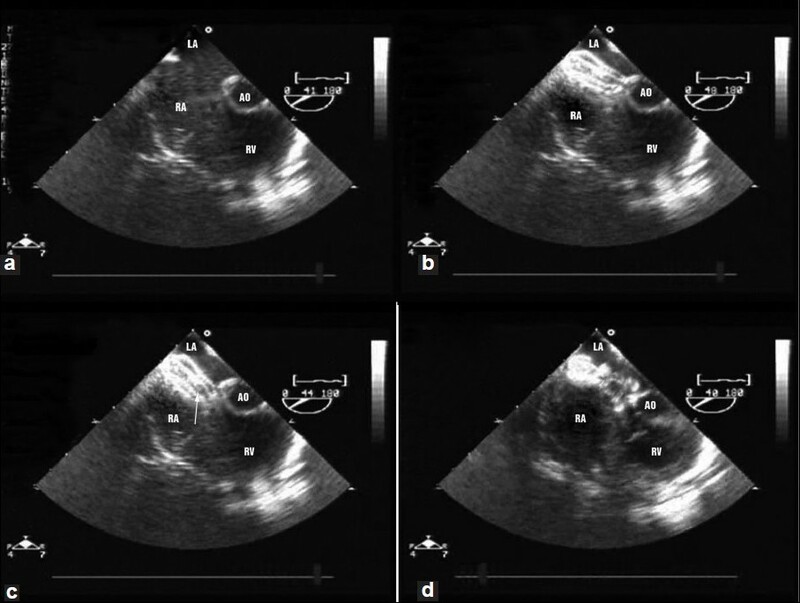 In this report, we describe the a case of a 4 year old girl who underwent closure of her atrial septal defect (ASD) using a 17 mm ASO. The device migrated in to the right atrium an anteroposterior plane 24 hours later with a resultant residual shunt. 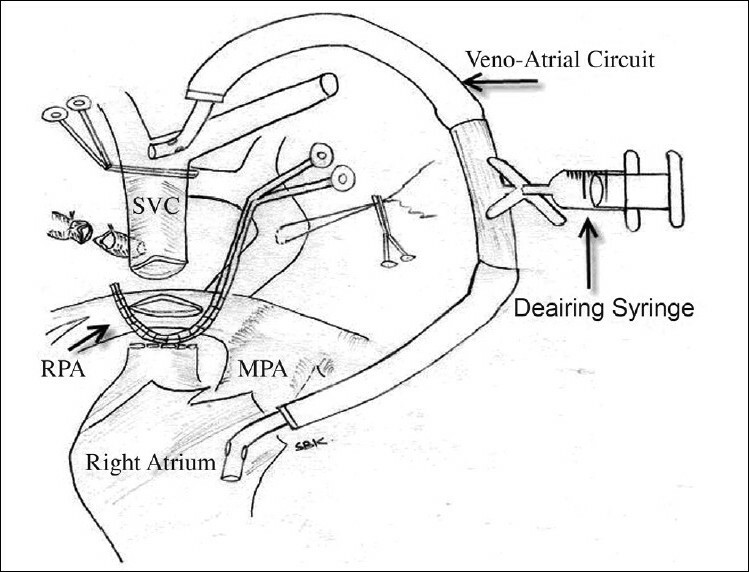 The device was successfully retrieved percutaneously and the ASD was closed using a 20 mm ASO. 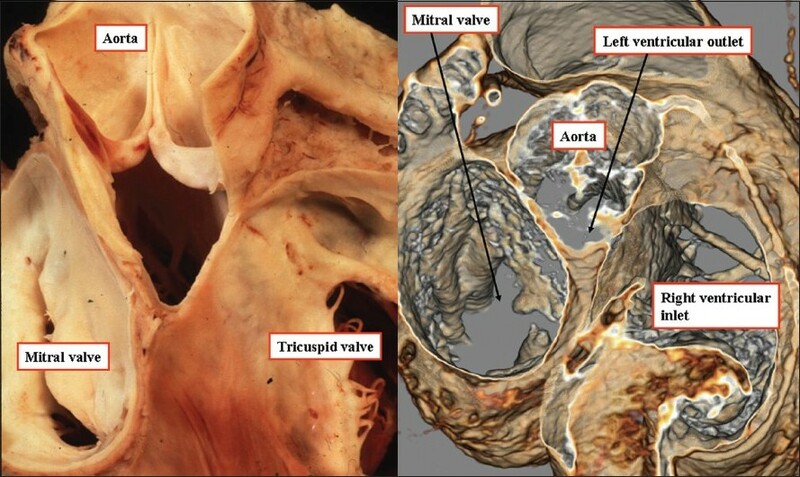 Double orifice mitral valve (DOMV) is an uncommon anomaly of surgical importance characterized by a mitral valve with a single fibrous annulus with two orifices opening into the left ventricle (LV). Subvalvular structures, especially the tensor apparatus, invariably show various degrees of abnormality. Associated congenital heart defects are common, though DOMV can occur as an isolated anomaly. 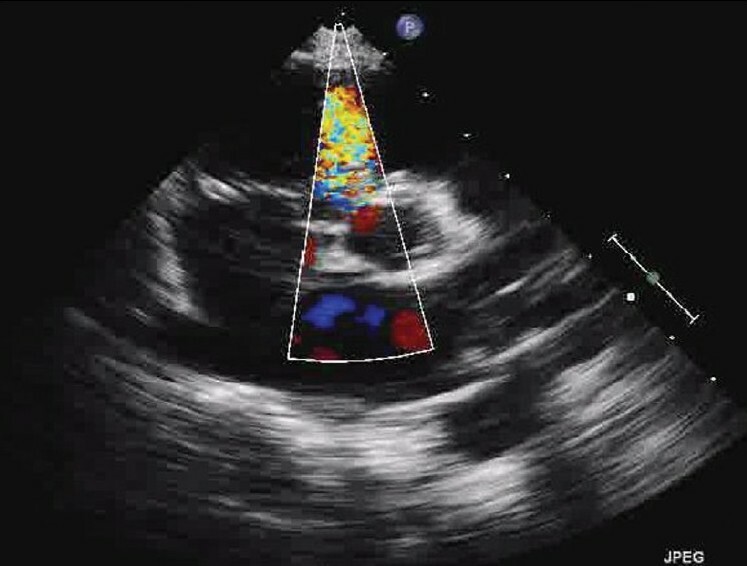 Two-dimensional echocardiography is useful for diagnosis but combining it with real-time three-dimensional echocardiography helps in a more detailed evaluation of mitral valve and subvalvular structures as is shown in this case description. 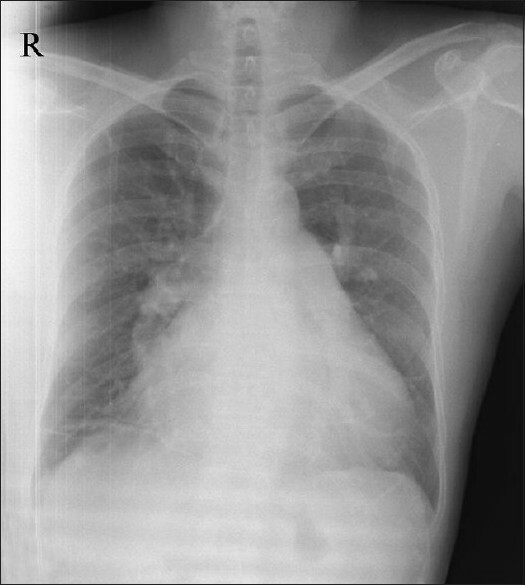 Pulmonary edema after device closure of atrial septal defect (ASD) is a rare complication. We present illustrative images of a case of pulmonary edema after device closure of ASD in a 53 year old adult. Older patients undergoing ASD closure can benefit from their left atrial and left ventricular end diastolic pressures measurement before and after temporary balloon occlusion of ASD.